Colder temperatures and winter weather are on their way. For some people, they’re already here! 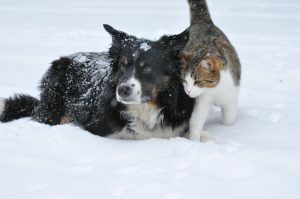 This drastic difference from summer to winter can take a pet by surprise, even if they prefer to stay indoors year-round. So how can you make the seasonal transition a little easier for your pets?